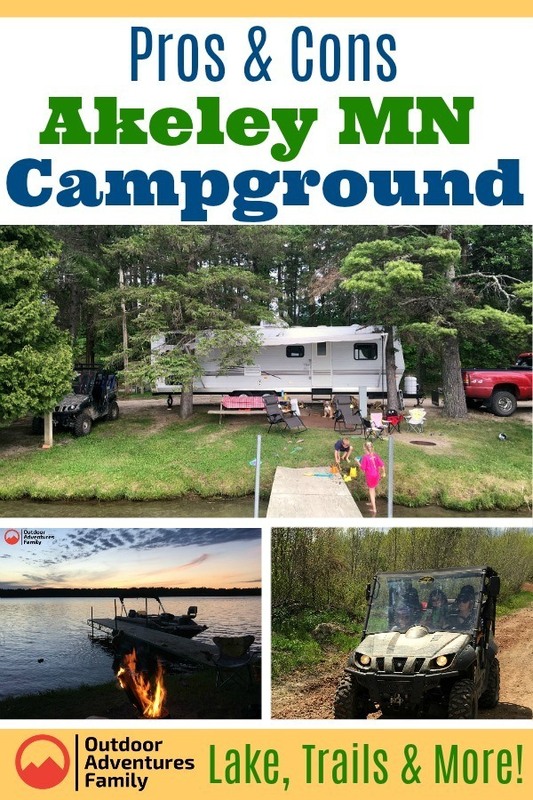 Akeley MN City Campground has many opportunities for outdoor adventures with campsites right on the waters edge, although there are a few drawbacks, I will share our experience and you can decide for yourself if this hidden gem is worth a visit. We brought our boat so we could explore the lake, try our hand at some fishing and get the kids out tubing. There is a very nice boat landing right next to the campground. We absolutely loved having our own dock, once the boat was in the water we were able to tie it up to the dock right at our site. That makes it so convenient and easy to go out and enjoy activities on the water and gives you peace of mind having your boat right where you can see it. The water on Eleventh Crow Wing Lake was some of the most crystal clear water we have seen. The lake offers many different species of fish, one of them being Walleye, which we enjoy fishing. The first night, once we got our campsite set up we had a little time to get out and fish. We had luck right away and caught some walleye that we enjoyed for lunch the next day. 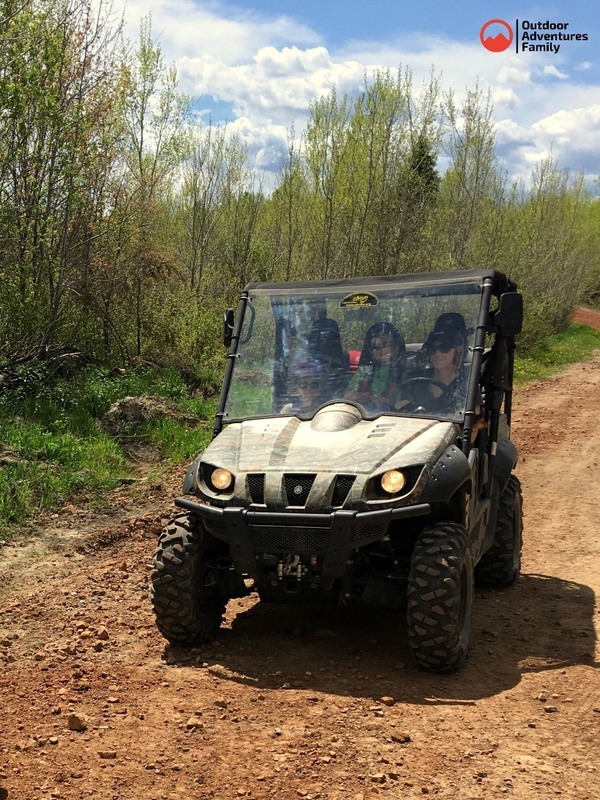 The Akeley MN campground is also known for its great off-highway vehicle trails. We decided to bring our side-by-side so we could go explore the local trails. 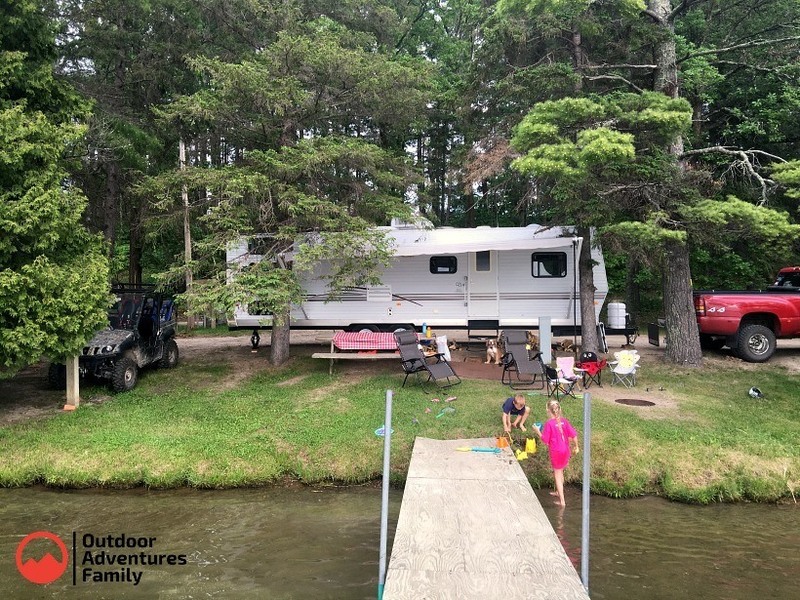 The Akeley City Campground is a great starting point for those interested in trail riding with the trail passing right by the entrance to the campground. Our family also likes to take our bikes camping with us. The paved bike trail also passes right by the campground entrance which offered another fun activity our family could enjoy. The city of Akeley has that Minnesota small town feel. One of our days we decided to take a walk downtown. We saw local diners to eat at, we also stopped in and checked out the Akeley Paul Bunyan Historical Museum. You can’t miss it, there is a huge statue of Paul Bunyan out front. The statue makes for a fun place to take pictures and inside the museum, you can check out some fun historical finds. The Akeley, MN area was great! Our family enjoyed the campground so much we ended up coming back to Akeley later that same camping season. 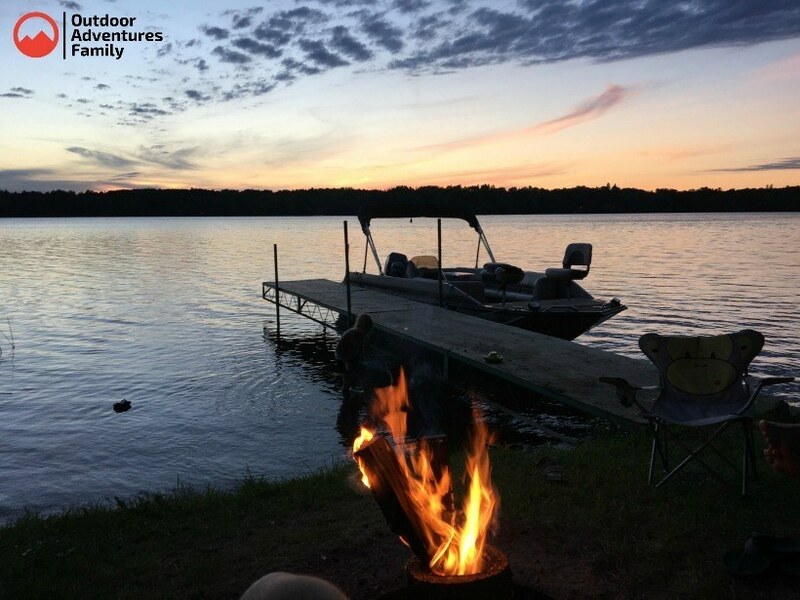 To sum it up, if you are looking for a weekend outdoor adventure or are lucky enough to have a full week or more, you and your family will not run out of things to do in the Akeley area. For more information on booking your stay at Akeley MN campground, you can visit their website. David lives in Minnesota with his wife and four children. He enjoys taking his family on fun outdoor adventures including camping, dirt biking, snowmobiling and he even builds an outdoor hockey rink every year! He's eager to share his knowledge so that you can have your own fun family adventures too!